Guests of Sugar Bay Resort & Spa have easy access to Mahogany Run, an 18-hole championship golf course located just 15 minutes from the resort. 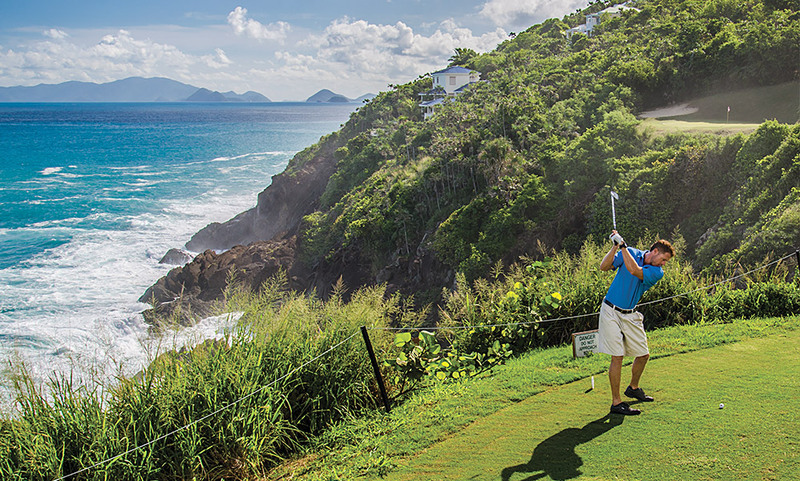 This par 70, 6,022-yard course on the scenic north shore wins raves from golfers of all skill levels, thanks to its renowned "Devil's Triangle" (holes 13 - 15) and George and Tom Fazio design. Facilities include a driving range, putting and chipping greens, and on-course restaurant. If you have trouble keeping your eye on the ball, you can always blame the resident iguanas, mongoose, and array of tropical birds who call the 110-acre course home. You might even spot the seasonal migration of humpback whales right off shore.